Maruti Suzuki had been teasing the 2017 S-Cross facelift on its official website as well as social channels. And finally, the prices of the 2017 Maruti Suzuki S-Cross are out. 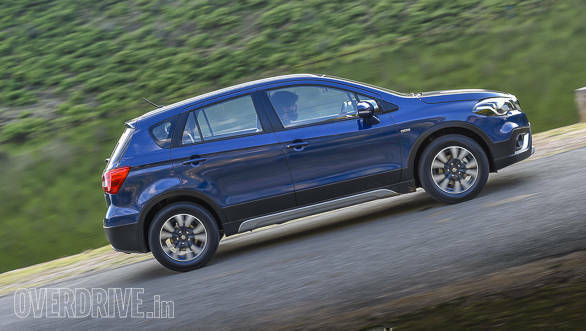 The updated S-Cross is priced at Rs 8.49 lakh for the Sigma or the base variant. The prices go upto Rs 11.29 lakh for the top-spec Apha variant, all prices ex-Delhi. The bookings for the Maruti S-Cross facelift had already begun at the 280+ Nexa dealerships in India for a booking amount of Rs 11,000. We believe deliveries of the 2017 Maruti Suzuki S-Cross facelift should begin in the coming weeks. 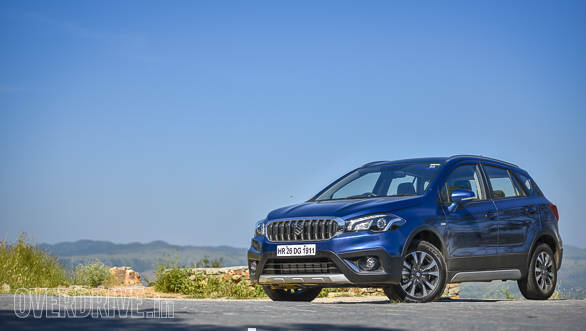 The new Maruti Suzuki S-Cross facelift is available with the 90PS 1.3-litre diesel engine coupled with the Smart Hybrid Vehicle System that's already in use on the Maruti Ciaz and Ertiga. Maruti Suzuki has discontinued the 1.6-litre Multijet diesel engine as buyers were not really keen on paying extra for that particular trim. There will also be no petrol engine available with the Maruti S-Cross facelift. We have driven the 2017 Maruti Suzuki S-Cross facelift and believe that the engine still has that familiarly noisy, with turbo-lag till around 1,800rpm, after which 200Nm of torque is simply shoved in your face, as the car pulls steadily till around 4,500rpm. It takes some getting used to, but if you like a bit of enthusiastic driving, you'll enjoy it. Thankfully, there's no torque steer at all, and the sharp, precise five-speed gearbox is a pleasure to use. The car does get up to triple digit speeds quickly, and you won't really miss the 1.6-litre engine. Changes to the new Maruti Suzuki S-Cross facelift includes a busier looking front with aggressive bits. This can be seen with the new headlights and the larger chrome treated grille. Even the bumper has got more contours, giving a stronger profile. The side and the rear do look reminiscent of what we have seen in the existing S-Cross. Inside, the cabin has got premium additions in the form of new trims and an updated layout. 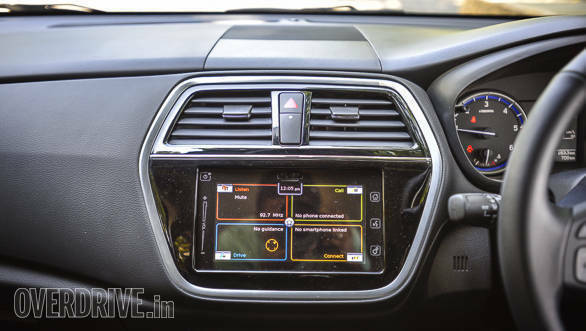 Similar to the new age Maruti Suzuki cars, the 2017 S-Cross facelift too will come equipped with Apple CarPlay and Android Auto connectivity options.